Call 563-355-6303 or stop by the shop and let Mike take a look and give you a free estimate today! Dent Relief offers prompt dent repair service in the Quad Cities metro area, including Illinois and Iowa. Bring in your damaged vehicle and drive it back home looking as good as new within an hour. 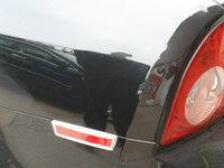 Paintless Dent Repair is best used for door dings, golf ball dings, minor creases. Accidents, hail storms and other unfortunate events can cause dents in your vehicle, leading to expensive repair at an auto body shop. 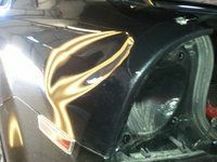 Paintless dent repair is a cost effective and quicker alternative to traditional auto body repair. 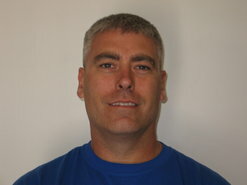 Mike is the most knowledgeable & skilled in the area in his field. he wants every customer to be completely satisfied with his work and he personally guarantees every job. Whether you drive 2 wheels or 4 wheels, mike can help you remove many types of unsightly dents! Restoring your vehicle to its original dent-free condition is easier than you think. With DENT Relief, Paintless Dent Removal (PDR) is fast, reliable and guaranteed to be the highest quality. When you notice a small door ding or a something more complex, let us take a look before you take it somewhere for bodywork and paint. Please fill in as accurately as possible and we’ll respond promptly! CLICK 2 CALL US NOW! Dent Relief offers prompt dent repair service in the Quad Cities metro area, including Illinois and Iowa. Copyright © 2019 Dent Relief Paintless Dent Repair. All Rights Reserved.